Authorized Retail Dealer of a wide range of products which include ez light, ez light touch, daylight visible ez- light, ez-light touch, pick to ez light and sensor emulator ez- light. 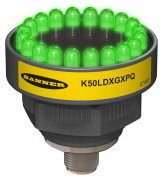 Our company is engaged in offering a comprehensive range of K50fl Multi- Function Ez- Light. 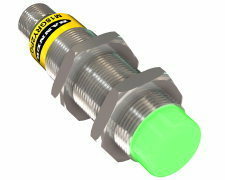 These areRugged, cost-effective and easy-to-install indicators, Displays multiple colors and flashing frequencies: Steady ON, flashing or alternating, Fully encapsulated, rated IP69K for protection against wash down cleaning, Illuminated dome provides easy-to-see operator guidance and equipment status indication, Compact devices are completely self-contained — no controller needed, Choose NPN or PNP input, depending on model, Immune to ambient light, EMI and RFI interference. 12 to 30V dc or 85 -130V ac (75 to 120V dc) operation, depending on model. 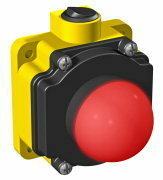 Our company is engaged in offering a comprehensive range of K50l General Purpose Ez- Light. 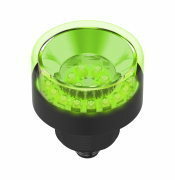 These areRugged, cost-effective and easy-to-install indicators, Illuminated dome provides easy-to-see operator guidance and indication of equipment status, Compact devices are completely self-contained — no controller needed, 18 to 30V dc operation; 85 to 130V ac operation, Displays up to three colors, Immune to EMI and RFI interference. Looking for Ez Lights ?